Like memories, 'Gegen das Vergessen' is a video which slowly fades away. To avoid that process, the audience is requested to share the experience and spread the word. Because we only can retain history by repeating it. The more views 'Splitter' counts, the more enhanced the experience gets. With rising views, image and sound quality improves. Is the video clearly visible, more and more additional content unlocks. 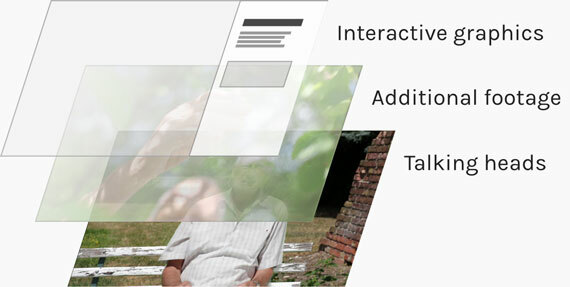 To provide a fluid transition between the different states of the video, many alpha-channel videos and interactive elements are arranged on top of each other, so that every view can unlock a little amount of the next layer.